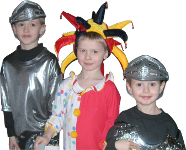 Three creative ways to retell the nativity story. How to choose just the right gift for each of your children. Six easy Christmas crafts you can do with your kids even when you're tired. How to have your decorations reflect family memories. How to get your kids to participate in gift-giving, turning Christmas into giving instead of getting. Exciting winter outings that will build memories for a lifetime. Twelve easy high-quality gifts to make for family and friends. What to do when you don't have energy; how to simplify your Christmas and still have fun.